Do you know this? When warm fat, oil and grease makes its way into the plumbing system, it can cool, harden and stick to the inside of sewer pipes reducing the sewer pipe capacity. Over time, the fat, oil and grease will build up and cause a number of problems, including blocked sewer pipes, on both the private and City side. Yuck! 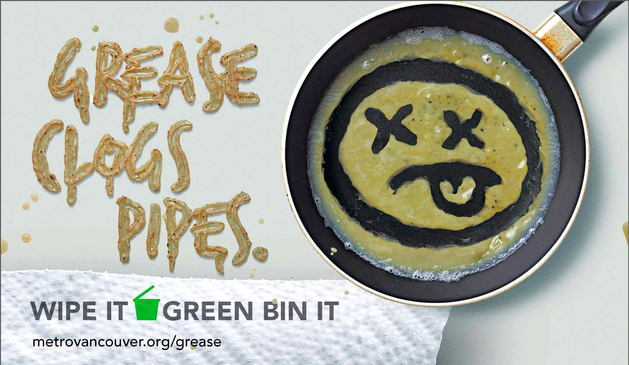 Please don't pour kitchen grease or oil down the drain. 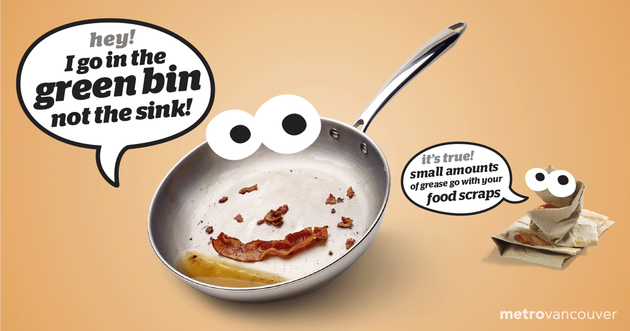 Simply wipe it and Green Bin it! 加拿大中文電台提提你，廚房油脂先用紙擦乾淨，再扔進綠桶，Wipe it! Green Bin it!